The Nigerian Navy has reacted to allegation of abduction levelled against one of its officers, Commander O A Oyetoyan, saying it has contacted the individual concerned and investigations on the matter on-going. 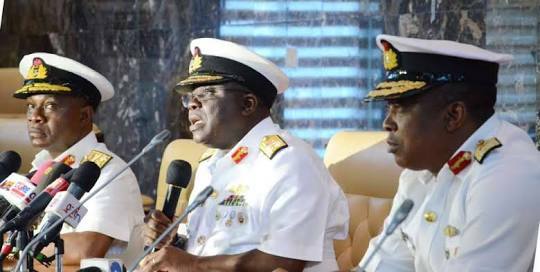 Commodore Olugbode said: “The attention of the Nigerian Navy (NN) has been drawn to a tweet on the official twitter handle of the NN by one Mr Ajayi Adesanmi who allegedly accused a Naval Officer identified as Commander OA Oyetoyan of abducting his wife and issuing threats to his family members. “This is to inform the general public that the NN abhors and takes matters of assault seriously. Consequently, the NN has contacted the individuals concerned and investigations with other security agencies are ongoing on the case.